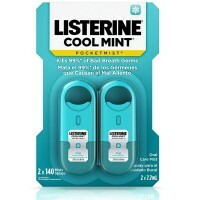 Heading Kills germs that cause bad breath. Directions Adults and children 6 years of age and older: brush teeth thoroughly, preferably after each meal or at least twice per day, or as directed by a dentist or physician. 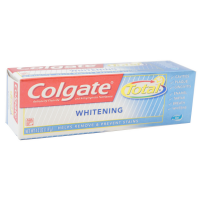 Instruct children under 12 years of age in good brushing and rinsing habits (to minimize swallowing). Supervise children as necessary until capable of using without supervision. Children under 6 years of age: ask a dentist or physician. 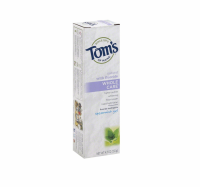 Uses Aids in the prevention of: cavities, plaque, gingivitis. 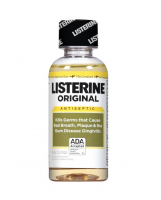 Listerine Antiseptic is the mouthwash dentists recommend most for healthy gums. 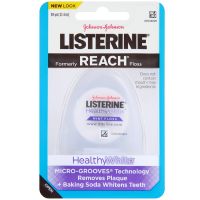 This proven Listerine technology, combined with fluoride for cavity protection, can be found in Listerine Essential Care toothpaste. Removes stains. Freshens breath.